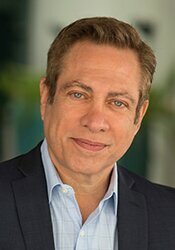 David Kessler, one of the most renowned experts on death and grief, takes on three uniquely shared experiences that challenge our ability to explain and fully understand the mystery of our final days. The first is "visions". As the dying lose sight of this world, some people appear to be looking into the world to come. The second shared experiences is getting ready for a "trip". The phenomenon of preparing oneself for a journey isn't new or unusual. In fact, during our loved ones' last hours, they may often think of their impending death as a transition or journey. These trips may seem to us to be all about leaving, but for the dying, they may be more about arriving. Finally, the third phenomenon is "crowded rooms". The dying often talk about seeing a room full of people, as they constantly repeat the word crowded. In truth, we never die alone. Just as loving hands greeted us when we were born, so will loving arms embrace us when we die. In the tapestry of life and death, we may begin to see connections to the past that we missed in life. While death may look like a loss to the living, the last hours of a dying person may be filled with fullness rather than emptiness. 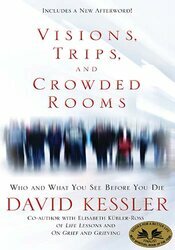 In this fascinating book, Kessler brings us stunning stories from the bedsides of the dying that will educate, enlighten and comfort us all.